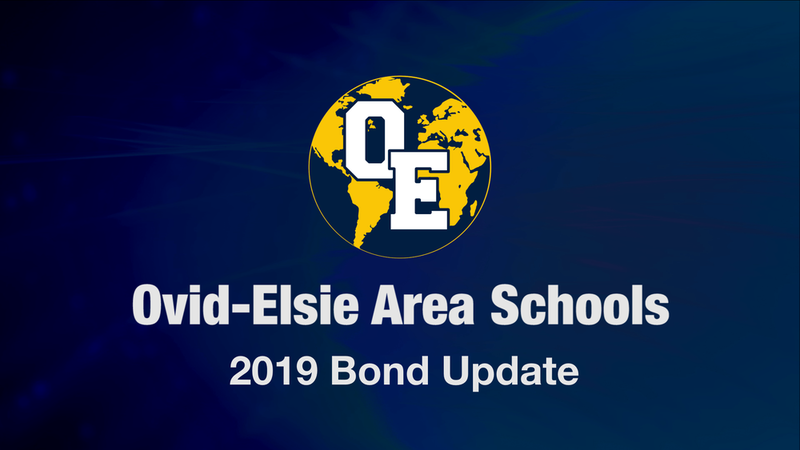 On May 7,2019 citizens of Ovid-Elsie Area Schools will have an opportunity to go to the polls to vote on a bond extension to provide the district with $6 million to fund capital improvements throughout the district. By extending the existing bond debt an additional three years, these improvements can be done without raising taxpayers' existing rates. One of the needed improvements is continued updating of our technology infrastructure. As part of the last bond project we upgraded the entire network (switches, cabling, wifi access points, cameras, phones, door access, backup batteries) adding to and replacing existing and outdated equipment. In our last bond project we were able to maximize the community’s investment by utilizing federal and state rebate programs (TRIG, ERate). By leveraging $88,000 of bond monies, we were able to build a $250,000 network and turn $70,000 of device investment into $90,000 worth of equipment. Federal ERate is still viable for the coming project and we anticipate a large return, and we are also pursuing new grant opportunities. We’ll also be investing in classroom multimedia across the district to replace 10-12 year old projection setups and add classroom audio solutions. Technology improvement is just one of the projects that would allow the district to keep more dollars directly tied to our classrooms and continue to provide our students and staff with the necessary learning opportunities needed to keep Ovid-Elsie Area Schools, a nationally and state recognized district of academic and financial excellence.